Do you still believe in magic? Do you still believe in Santa and his elves up at the North Pole? Comet and Vixen have a new little fawn that unfortunately is very bored and lonely at the North Pole. There are no other children to play with or keep her company. Fawn secretly discovers how to leave Santa’s village and escape to the outside world. There she meets a Snowboy, and a bunny. They decide to become best friends ‘Til the last snowflake falls. What happens though is that they discover that animals are going missing out of nowhere. Baby animals are left parentless and afraid. There is a new human, Dr. Mary Weather, a veterinarian that has come to the artic to study and help animals. With the help of Dr. Weather the inhabitants of Santa’s village look to solve the mystery of the missing animals and reunite all the families. 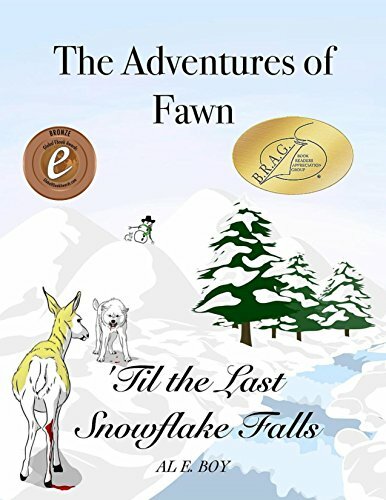 The Adventures of Fawn ‘Til the Last Snowflake Falls by Al E. Boy is listed as a children’s book, however it is novel. The writing is easy to understand, not a lot of challenging words. The scenery descriptions are colorful and entertaining but kept short to appeal to childrens shorter attention spans. There is a lot of funny interaction between the animals that will have you laughing and rooting them on. The personalities are well written and appealing, they have a mischievous streak, not a “bad kid” one but just kids being kids exploring and playing pranks. One funny scene involves two elves, known as the Forgetful Twins, and a bunny scatters who straw behind the elves as they’re sweeping, and the elves can’t figure out what is going on. The book than goes into deeper plots and themes. The bad guys that are kidnapping animals are mean to both people and animals. While there isn’t a lot of violence, the hostilities are implied. The constant theme of friendship and sticking together is weaved deeply into the plot. At every turn characters are bonding and helping each other. The concern for their fellow companions is heartwarming. It shows that despite all the differences, human, snowman, reindeer, elf, bunny, it doesn’t matter, they all bond together. This is a great lesson for children, and adults. It doesn’t matter how different we all are, we can come together to solve a problem and help each other in times of need. While the story takes place in the North Pole, it is not a Christmas story. 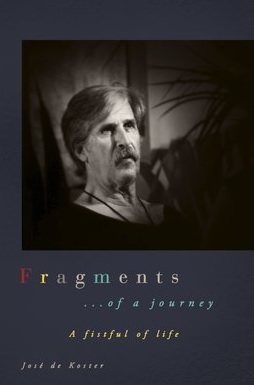 It is a compelling story about friendship and overcoming adversity. Fawn is a loving character that is easy to relate to, and the magic of Santa’s Village and talking animals is sure to draw in readers of all ages. I loved being able to escape back to a childlike innocence and for the course of this book just believe in the magic of Santa and the North Pole again. It makes me happy and reminds me to appreciate the little things in life and share these moments with my own kids. This would make a great family reading novel with lots of topics for discussion. Posted on March 23, 2018, in Book Reviews, Four Stars and tagged adventure, adversity, al e boy, alibris, animals, author, author life, authors, book, book club, book geek, book lover, bookaholic, bookbaby, bookblogger, bookbub, bookhaul, bookhub, bookish, bookreads, books of instagram, booksbooksbooks, bookshelf, bookstagram, bookstagramer, bookwitty, bookworks, bookworm, children, childrens book, deer, ebook, elf, elves, fantasy, fiction, friendship, goodreads, ilovebooks, indiebooks, kids, kids book, kindle, kobo, life, literature, magic, mischief, nook, north pole, novel, publishing, read, reader, reading, shelfari, smashwords, story, the adventures of fawn, til the last snowflake falls, writer, writer community, writing. Bookmark the permalink. 1 Comment. Great review. This sounds like the perfect book for adults to read to children.